Access to Sunlight – Using daylight and daylight measure effectively in a building is an excellent way to increase the energy efficiency of your building, but it can also make the occupants in your building significantly happier, healthier, and more productive. In your average business, 90% of the operating costs go to your staff and labor force. [World Green Building Council Report] With this substantial portion of a company’s resources going to their workforce, it seems vital that the workforce be happy, comfortable, and productive. 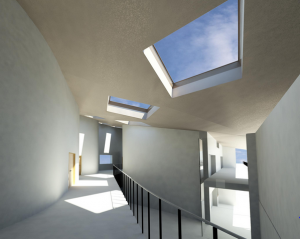 Both view and access to the daylight itself contribute to the effects windows and daylight have on an occupant, and these effects are widely agreed to be positive. Automatic blinds – Automatic blinds and window covers provide the same ease-of-use that smart windows provide. While significantly enhancing the energy efficiency, automatic blinds will close when the light level within a space gets too great. Privacy and Noise Control – A lack of noise and sound privacy is cited as the biggest drain on employee morale and productivity. [Harvard Business Review] This review provides several practical mechanisms by which a building owner or manager can help to reduce the dissatisfaction due to noise. Some of them include having designated quiet and loud spaces, increasing background noise, and using sound absorbing materials in the design of a space. 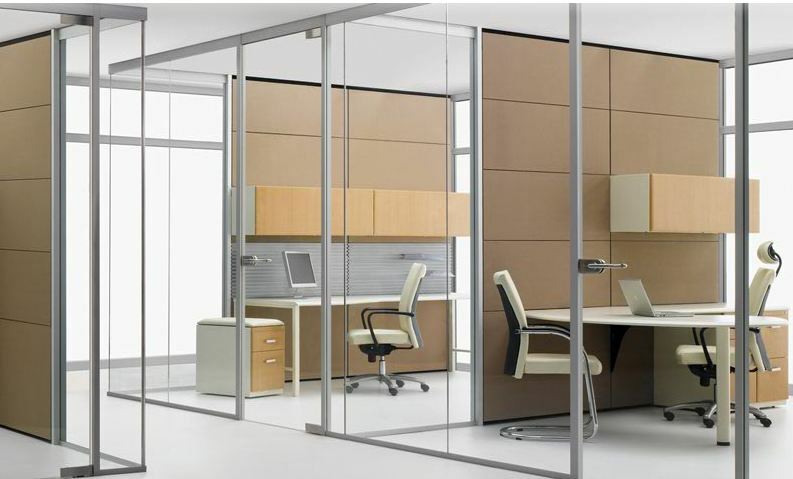 Space and Floor-plan Design – Maintaining a clean, clutter-free environment is important for both safety and productivity within a commercial setting. A well-designed floor-plan will make necessary resources more accessible and provide good paths of egress in the case of emergencies. Audio/Visual Equipment Ports – Technology has progressed significantly in the past couple of decades, and your average employee has access to a lot of technology that didn’t exist 20 years ago. Being able to use this technology to its fullest extent is important. Meeting spaces within a building should have sufficient Ethernet/AV access, and employee workspaces should also have access to any networking and AV connections necessary. [This article] from The National Bureau of Economic Research cites productivity growth in the 1990s as being directly attributable to the rise in information technology in the work place. Dynamic lighting controls – Lighting controls contribute most notably to the energy efficiency in a building, but they also have the benefit of making occupants’ lives easier by automatically controlling their lighting based off of factors like current luminance and occupancy.